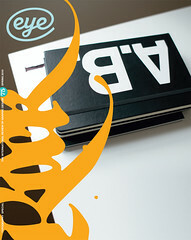 Eye Magazine | Review | Product design: secular religion or useful hobby? Encouraged, no doubt, by the well deserved success of his first documentary, Helvetica (2007; see Eye 64), Gary Hustwit has followed with a more wide-ranging exercise, turning most of his attention to product design. Over a running time of 75 minutes he interviews designers, journalists and museum curators about the designer’s role in society. Face-to-camera sessions are interspersed with tracking and panning shots of products, from children’s toothbrushes to swanky sports cars. The opinions expressed are equally varied: one moment, for example, we are offered common-sense views on the importance of ergonomics; the next, Dieter Rams, director of design at Braun AG, 1962-95, is seen declaiming, yet again, his litany of design principles (good design is aesthetic, good design makes a product understandable, good design is unobtrusive...). Further on, we are told that ‘design is the search for form’, then that, if designs are properly thought out, its user ‘should grow a little more fond of them with time’. On a second viewing – and this is strongly recommended – the dialectic becomes clearer because you, the viewer, are making your own contribution to the debate, agreeing with a point here, rejecting another there; even, perhaps, stopping the film to have a brief discussion with a fellow viewer. Some of the initial confusions are resolved but not all, and for good reason: they are inherent in the complexity of the subject and in the conflicting natures of its practitioners. Design is variously regarded as a secular religion, a social task, an art form, a merchandising tool and a useful hobby. We should not, therefore, expect to have it all neatly sorted for us as though in a butterfly collection. We should, I believe, be grateful to Hustwit for assembling such a wide and stimulating array of views arising from the design of manufactured objects. Meanwhile, the arguments will continue. And so they should.